Problems to get full access to AllThatStats? Check first: send the following email template to your library, faculty or teacher to find out whether there is a campus licence and how to get access via your campus‘ network. 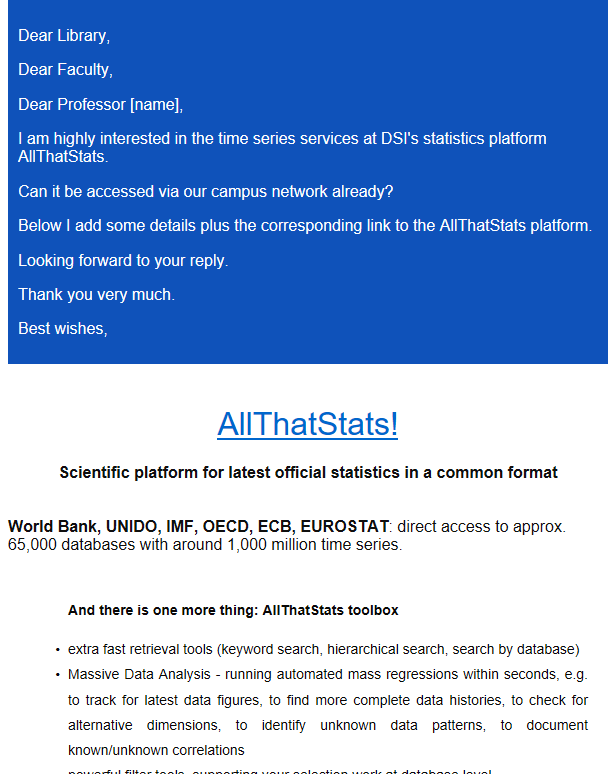 AllThatStats licences provide full access to DSI’s statistics platform AllThatStats.com via IP-controlled login or via user ID/password. All prices net. VAT or other taxes or national duties for royalty purchases not included.